Vibrant and homey experience for modern travelers in Chennai. 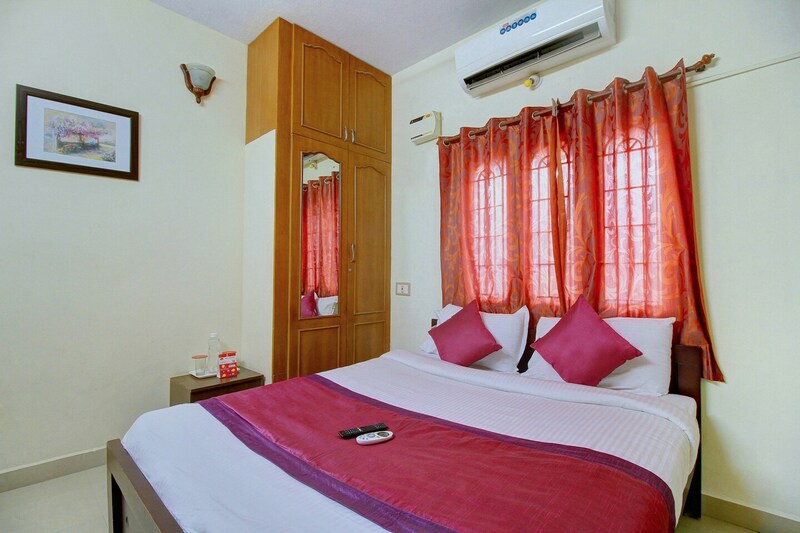 Hotel Daffodills Medavakkam is a vibrant and pocket-friendly accommodation suitable for various travelers. The ambiance of the hotel is elegant with minimal decor and well-lit premises. The rooms are well-designed with subtle finishing along with well-equipped pieces of furniture with various amenities for a fulfilling stay. Guest can utilize the facility of free Wi-Fi to stay connected with the internet. Other facilities available at the property include card payment, power backup and parking space. The seating area is a comfortable space to cherish time with your fellow travelers. Various sightings of local livelihood around the place make for a hearty experience.